Ronald J. Poorman retired from full time public school music teaching in February of 2000 after 37 years of service, the last 27 of those years were at Southern Regional High School, in Manahawkin, NJ. where he was nominated for the Princeton University Distinguished Teacher Award. 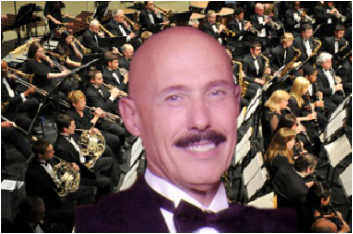 In 1999 he conducted the All-South Jersey Symphonic Band. Ron served as NJ State President of the International Association of Jazz Educators (IAJE) and was a member of the NJMENC Curriculum committee which helped establish the music education standards for the state. He played for 9 years in the 553rd U.S. Air Force Band and conducted their Jazz Band for six years. 2002 thru 2005 were spent building a concert band, pep band, and jazz combo at The Richard Stockton College of NJ where he was appointed Assistant Professor of Music. Ron serves as Associate Conductor, played first clarinet and now plays first alto Saxophone, serves as the webmaster and is the treasurer for the South Jersey Area Wind Ensemble. In additional he has private woodwind students which he teaches at his home studio in Egg Harbor Township where he and his wife Karen reside. Their home also serves as the business office for the South Jersey Area Wind Ensemble. Ron is active as a clinician, guest conductor, and adjudicator, and plays alto Saxophone in the South Jersey Saxophone Quartet. He continues to be a staff consultant to the Southern Regional High School Jazz Ensemble.